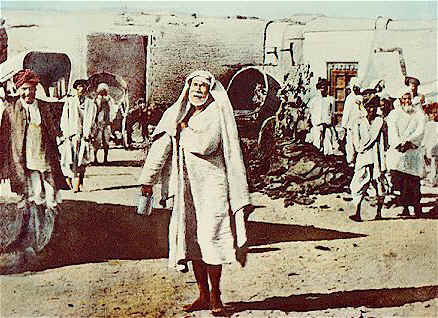 Below are three experiences wherein devotees have experienced grace of Lord Sai Baba in abundance. Kindly go through and feel this. Sai Sister Swati ji from Germany says: Om Sai Ram, Thanks Hetalji for providing such a wonderful platform for Sai devotees to strengthen their faith in Baba. May Baba bless you. Please share my experience if you find it suitable and you can edit it for mistakes. I read daily devotee experience and all are wonderful. My dear, adorable father my all in all Baba is everywhere and for everybody. I love you Baba like anything. My hundred Pranams on Lotus feet of Shirdi Sai Baba. I have many experiences with my Deva, but this one boosts my faith more and more. One Thursday morning around 4 am, I saw a very bad dream related to my son. So I got up checked time since it was morning dream and people says early morning dreams are usually true. So I became restless and started chanting Baba's name. I didn't know when I slept. I didn't want to share my anxiety with my husband to make him anxious too. When everybody left for their places in morning, I prayed to Baba and cried in front of him for my son. I usually put 2 chits in holy feet of Baba for my queries. I said to Baba this dream should not come true. Baba, will You please take care of my son? I took one chit from His holy feet. For my surprise, His answer was yes. I felt so happy. But still being a mother, I was in doubt. I read Sai Satcharitra again, I got positive answer. Lastly, I want assurance from Baba so I said Baba I have full faith in You, but I will be fearless if today I will see you in yellow clothes in temple. That will be a assurance from You to me. On evening we went to temple. For my utter surprise, Baba was in all yellow clothes and with only yellow roses around Him. My joy has no bound. I felt really very blessed. But Baba has planned many things for me and wants to strengthen my faith. In temple, we get Bhajan book from which anybody can sing. I wished to sing for Baba, but all Bhajans were new for me, so I quit this wish inside me. The person, who worships Baba, suddenly said to my 3 year old son to sing for Baba. My son never sings in front of anybody. For my surprise, he started singing “Om Sai Namo Namah, Shri Sai Namo Namah, Jai Jai Sai Namo Namah, Satguru Sai Namo Namah” without any break and mistake. Then priest said this is really nice you sing with your mother we all will repeat. Hearing this, I was so glad my wish came true. I could sing for Baba. Baba was listening my wishes. I was very happy. But this was not the end of His blessings, more has to come. I shared all my experiences to my Husband inside temple itself. My husband said this is wrong you should not test Baba like this. You should have strong faith in Baba. He is there for us. I said no I was not testing Baba, I want assurance from Him. After discussion my husband wished inside Baba today I will perform Your Aarti. Meanwhile, I also wished if anyone of us could perform His Aarti, then we will be very blessed. Usually Priest gives lamp for Aarti randomly to people, but he never gave us to perform. My kind Baba wants us to do His Aarti. Priest asked my Husband to perform Aarti. I can't explain how happy we were that moment. I felt very blessed. I have no fear for anything. Baba has strengthened my faith. It is so true why fear when Baba is here. I have many hurdles in life, but my Sai, my protector, is there to save me. Baba, never leave me alone. I am nothing without you. Anant Koti Brahmandnayak Rajadhiraj Yogiraj Satguru Sainath Maharaj ki Jai. Sai Sister Khushi ji from India says: I am Khushi and I want to share my experience I had while doing Shirdi Sai vrat. I had a serious trouble/confusion in my mind and was going through the worst phase of my life. Then one day, I searched on internet "Sai Baba" and got suggestion "vrat". I clicked on that and started reading about that. Then, I decided to start the vrat on very coming Thursday. I was in USA at that time and I never had an experience of fast. It was very cold and snowing there. On Wednesday, I had to get all the stuff to do Pooja and Sthapana. I went outside and came to know that it was thunderstorm. I waited for around 1 hour in the night time with -15F temperature. Initially I thought Baba was examining me, but gradually it started snowing heavily. I started crying and pleaded Sai Baba to send the bus. And then somehow, I reached home safely. I did all 9 vrats with full dedication. Although, I never found yellow flowers as mentioned in the pooja. But on 9th vrat, I found 1 flower shop easily on my bus stop. I did all my vrats successfully, but I did not see any results. This way, 4 months passed and no results were seen. I almost started losing hope. I was caught by depression and my personal condition was getting worse. I could not understand what to do. Then suddenly one day, I got to know that the thing I was asking for was given to me the same day I completed my fasts. Only that I was unaware of that. From that time onwards, I am sure Baba is somewhere listening to me, cares about me. I love Him and many times talk to Him in my thoughts. Anonymous Devotee from USA says: OMSAIRAM Hetalji, you are doing great job for Sai devotees. Keep going. Sai’s blessings are always with you and your family. Thank you so much for such a beautiful blog. This is the blog anyone can share their experiences, happiness, sorrow, anything. Thank you so much Hetalji. Please don’t mention my name, my email id. I am from USA. I want to share my situation and need all your blessings. I need my Sai’s blessings. I am not good in English. Please excuse me. You don’t know how much support, courage, you are giving. We all need Baba’s blessings. Today I requested for UDI, Prasad, Sai photo. I didn’t know about this website. I kept on searching about Sai in the internet. Then I found this amazing site. Really I feel good for this. Hetalji, I need Baba’s blessings. I am in bad situation. I don’t know what to do. We are trying to have baby for past 2 years. I don’t know what’s going on in my life. I am not able to share anything to my family. The only one person I can share is Sai. Sai is really testing our patience. This is my personal problem. I want to share with Baba. My husband has zero count sperm. We were shocked. I didn’t know what to do. I was almost crying everyday in front of Baba. Slowly, I was ready to face this big hurdle. We consulted a doctor. He suggested my husband for surgery. After surgery, they can find out whether any sperm is there or not. He told that we have 60% chance. We were ready to face this. If they find out sperm, they can retrieve eggs from my ovaries and finally they do the IVF. But somewhere, we felt very bad all about this. Sometimes, we thought that whatever happening is like bad dream. We were not able to accept this. Why this happened with us. Why we are facing this. Please pray Sai for us. Please Hetalji, I beg you. Please pray for us. Please convey my problem to Shirdi Sai Baba. I know Sai is with me. Why Sai is testing me. Please forgive all my mistakes Sai Baba. We never know all about this. We are practically experiencing this worst situation in my life. Baba, please help me out from this hurdle. Please be with us forever. We need your blessings. But somewhere, I knew, Sai definitely will help me in this long process. Sai Baba, You are the one who can make impossible possible. I am doing Sai Vrat from last week. Tomorrow is my 2nd week. Last week, my husband had surgery. I need to share Sai miracle which I experienced. After surgery, nurse asked me to deliver surgery sample to another doctor. I am not perfect in driving. So I had to take cab. I asked Sai that I need Your presence. Please send me a cab. With Sai blessings, I got cab. I was totally emotional. Only Sai was there with me. No one was there while surgery was going on. Sai was with me. I chanted Sai Sai Sai. I delivered that sample and I came back. My husband was out of procedure. We got lab results. They found sperm in sample. All I can say is that only Sai make impossible possible. Sai Baba, I love u so much. We need your blessings. Now we are going through IVF. We need all your blessings. Please I beg you Hetalji, please pray for me with a healthy baby. Please forgive all my mistakes. I am so much scared with this long scary process. I am not able to share with my family. I can share only with Sai. Please take care of us Sai. We both are doing parayanam. I started doing Sai Nav Guruvar Vrat Katha. Sai Baba, bless me with a healthy baby. I need all your blessings. I would share the next happening miracle experience in my life with Sai through this blog. Thank Hetalji. Sorry for such a lengthy sharing. Om Sai Sri Sai Jai Jai Sai. Sadguru Sainath Maharaj Ki Jai. Sai's blessings are always there with us. Dear Anonymous devotee from USA I pray to Baba that may he bless you with healthy babies and help you in overcoming all these experiences. You are very brave and God will definitely support you . May you and your husband soon get fruits of your devotion and start your family. Anonymous devotee # 3 i m sure u will be blessed with a healthy baby with the blessing of sai baba.... i will also pray for u.. have the same faith... stay blessed!!! omsairam this is in regards to saibakth from usa who is going through ivf treatment well i cannot tell how similar ur story is to mine we went through the same thing maybe baba is making me write this to assure you that everything is going to be alright,with baba's blessings we have a baby boy now.baba is always there for us so have faith and patience. Dear Anonymous devotee from USA, From the bottom of my heart I pray for you anD your family to be blessed with healthy baby. As you are already in his sharan so there should be no point of doubt in our mind.Your wish will be soon fulfiled . I too going through a very difficult sitution I hope babaji will save me from it.Kindly pray for me. Dear Sai devotee from USA, please be assured. Baba will bless you with a healthy baby soon. have strong faith and patience. He will shower his grace on your family soon. May Baba bless us always. Dear Anonymous devotee from USA, BABA will surely bless you and your family with a nice child. Have Faith in BABA. He will not let his children down. I will pray to baba for u.m sure u will be blessed by healthy baby.om sai naathaye namah. May baba bless u a healthy child dear sai sister.Do not worry when sai baba is dere with u.
Dear Anonymous devotee from USA. Baba will definitely help you. You already could sense some positive thing happened right. Have faith, very soon you will post in this blog saying about your cute and healthy baby. Om Sai..Shree Sai..Jai Jai Sai..
Dear Hetal or anyone out there!!!! Can you please clear my doubt. I have started my 9 thursdays shirdi sai vrat and today is my third week. I will stay with coffee, water, juice and fruits through out the day. I will not have one time meal too usually that means no salt. But today in the morning, since i have sore throat. I goggled with warm water mixed with salt. Shouldn't I consider my vrat today. Please let me know. devotee from USA..... May Baba bless you with kids... and I hope u can go through this difficult process of IVF with all faith and patience as I know its really a tough time to go through this IVF so u need lot of emotional support you can get... I wish you all the best and Good luck. May Baba bless you soon. I pray for a healthy baby for you. May you enjoy the best motherhood of a wonderful baby! U CAN CONTINUE SAI NAV GURUVAR VRAT KATHA..AS FOR I KNOW U DID NOTHING WRONG..DONT BOTHER ABOUT ALL THESE..ALL U NEED IS SHRADDA AND SABURI..
Baba will soon bless you with a healthy baby. Just hang in there with shraddha and saburi. He has already started to show positive signs. All the very best and you will soon be blessed. Even I am trying to conceive for a year now. I am just waiting with faith and patience. I know the time is not very far.Baba please answer for the devotees prayers. "U CAN CONTINUE SAI NAV GURUVAR VRAT KATHA..AS FOR I KNOW U DID NOTHING WRONG..DONT BOTHER ABOUT ALL THESE..ALL U NEED IS SHRADDA AND SABURI.."
Baba will definitely bless you with a healthy baby. The only 2 things you and your family need are Faith and Patience. So kindly have firm faith on Baba, not on Lab tests. Science has limitation, but not Baba's leelas. in nav gurubar brat how many times a person can eat . can two times roti accepatable . my would be husband became very depression because he cant got a job. i am starting today the nav gurubar brat of sri saibaba. so please inform me that two times having roti can possible .